Features a collection of reports on the effects of climate change on the Earth. Also includes background information on global warming and updates on actions taken by governments and the business community. Working to "to protect the balance between climate and life on earth." Climate Central is an independent organization of leading scientists and journalists researching and reporting the facts about our changing climate and its impact on the American people. Their goal is to inform and inspire Americans to "support the actions needed to keep the crises from getting worse." This Environmental Protection Agency site provides extensive information on the problem of global warming. It discusses how greenhouse gas causes global warming, affects the climate and impacts many other things such as health, agriculture, and forests. In their 2014 report on Climate Change, the Intergovernmental Panel on Climate Change found that decades of foot-dragging by political leaders has pushed humanity into a critical situation, with greenhouse emissions rising faster than ever. Although it remains technically possible to keep planetary warming to a tolerable level, only an intensive push over the next 15 years to bring those emissions under control can achieve the goal, the committee found. According to author Tim Flannery in Atmosphere of Hope, time is running out, but catastrophe is not inevitable. Around the world people are now living with the consequences of a changing climate—with intensified and more frequent storms, wildfires, droughts and floods. Drawing on the latest science, Flannery offers a snapshot of the trouble we are in, but more importantly, he proposes a new way forward, including rapidly progressing clean technologies and a “third way” of soft geo-engineering. Tim Flannery, with his unique style, makes this urgent issue compelling and accessible, making it a must-read for anyone interested in the global future of our planet. "What are the causes and consequences of climate change? When the scale is so large, can an individual make a difference? Part diary, part documentary, and masterwork graphic novel, this up-to-date look at our planet and how we live on it explains what global warming is all about. With the most complicated concepts made clear by investigative journalist Philippe Squarzoni, Climate Changed weaves together scientific research, interviews with experts, and a call for action. Weighing the potential of some solutions and the false promises of others, this groundbreaking work provides a realistic, balanced view of the magnitude of the crisis that An Inconvenient Truth only touched on" Focusing on solutions, she includes stories of struggle and resistance from marginalized communities, as well as government policies that work for both people and the planet. In the spring of 2005, acclaimed environmental photographer James Balog headed to the Arctic on a tricky assignment for National Geographic: to capture images to help tell the story of the Earth's changing climate. 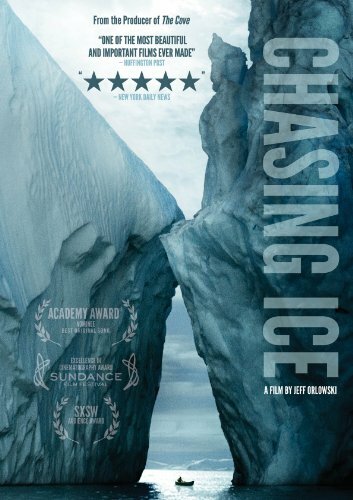 Chasing Ice is the story of one man's mission to change the tide of history by gathering undeniable evidence of our changing planet. Within months of that first trip to Iceland, the photographer conceived the boldest expedition of his life: The Extreme Ice Survey. Portrays the complex relationship between humans and the environment, particularly the social, economic, and ecological issues. Focusing on the tragedy of Hurricane Sandy, interprets the depths of these multiple perspectives. Climate Central is a leading authority on climate science. Their science team cuts through the hype with clear-eyed analysis of climate change, delivering just the facts and findings. We dig deep into the the data to produce reports on climate trends and impacts, from state level temperature trends, to wildfires, heat waves, drought, precipitation and more. Our reports make climate change interesting and meaningful to people where they live, and provide policy-makers with objective, relevant facts on the issue. Global Climate Change, a topic that includes Global Warming, refers to the relatively abrupt shift in weather patterns during the last hundred years. Climate change information in the Encyclopedia of Earth derives from The Climate, Adaptation, Mitigation, E-Learning (CAMEL) project from the Council of Environmental Deans and Directors (CEDD) of the National Council for Science and the Environment and is supported by a grant from the National Science Foundation, Division of Undergraduate Education.